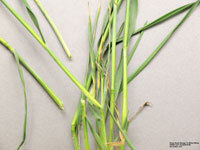 Freeze-Damaged Winter Wheat in the Panhandle including management options. Modes of Action and Resistance Action. What are they and why is rotating them critical to resistance management. Keep Stored Grain Cool and Dry this Summer. What to check and when to aerate so grain doesn't go out of condition. Irrigation Management Tools and Cost-Share Programs. Soil moisture sensors can help you reduce input costs and water use, plus many NRDs provide cost assistance. Market Journal on corn scouting for diseases and insects, how Japan utilizes Nebraska grains, market analysis, and the forecast for the next week.